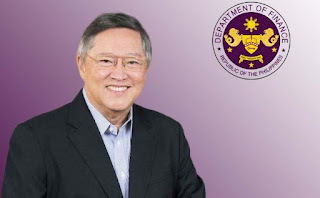 The Department of Finance (DOF) headed by Secretary Carlos Dominguez, brought up the possibility of offering amnesty to tax evaders. Addressing business leaders at the BusinessWorld Economic Forum on July 12, Dominguez was quoted by CNN Philippines as saying, "We are certainly going to think about the program very carefully. We will consider all the proposals." Tax amnesty is always welcomed by taxpayers, who would rather settle their taxes rather than have a criminal or administrative case. But tax amnesty is just one of the measures being considered by the Finance Department to make the tax collection system more efficient and more "reasonable". The DOF wants to lower tax rates of both individual and corporate taxpayers, not only because it was promised by Duterte during his campaign, but also because it would encourage more compliance and lessen tax evasion. High taxes are counterproductive, according to Dominguez. The Philippines has one of the highest tax rates in Southeast Asia, which is a source of discontentment among the working class and businessmen. Aside from lowering tax rates, the Department of Finance is also pushing for other reforms. There is now an "anti-red tape czar" in the person of Undersecretary Gil Beltran, who is tasked ot cut down the documents and processing time in the transactions with the DOF and its attached agencies. If Beltran will do his job well, expect a more efficient and faster processing of tax payments, tax refunds, and others. Just recently, the new Bureau of Internal Revenue(BIR) Chief, Commissioner Caesar Dulay issued a circular to cut the documentary requirements for tax clearances and reduce the processing time for the release of the clearance. The tax clearance will be released within two days after submission of complete documents. Dominguez also mentioned faster resolution of pending tax evasion cases; revision of procurement law; and faster approval of projects under the public-private partnership (PPP) program. All these reforms will surely be welcomed by Filipino workers and the business community. Red tape and very stiff penalties only give rise to corruption. If the processing of payments and documents will indeed be streamlined in all government agencies,not only at the DOF, then there would be no room for bribery at all. We do hope the DOF and other government agencies consider using the current technology as much as they can to upgrade their procedures. The citizenry should be given an option to transact with any government agency, online or via the internet. That would mean lesser queues, lesser cost to the public, lesser corruption and just maybe, lesser traffic in the long run.